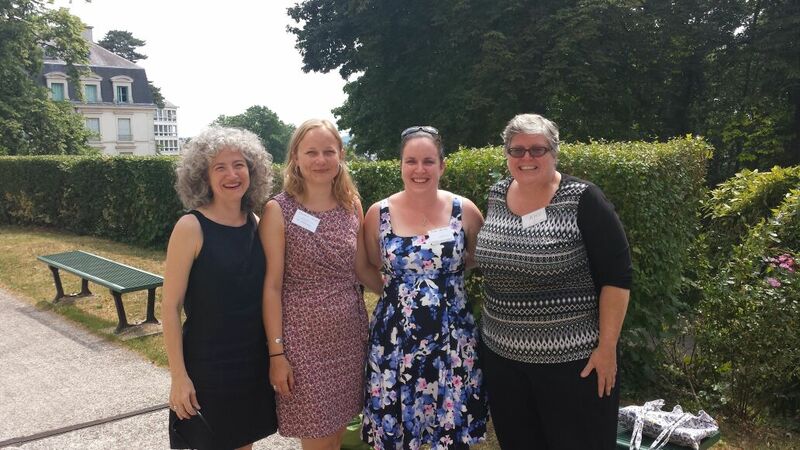 Some snapshots of our time at the European Society for Environmental History (ESEH) conference in Versailles, 30 June–3 July 2015. 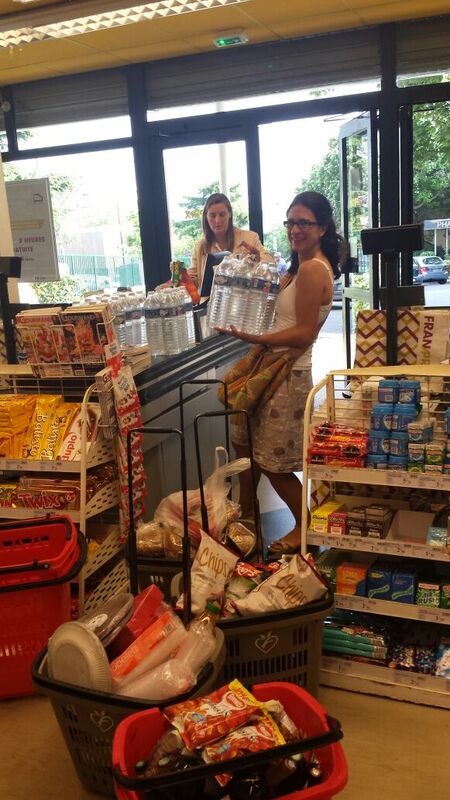 It was the hottest July in the region since 1947, which provided quite the environmental topic for conversation! Thanks to the organizers and to all of you who dropped by our book stall, it was great to meet you. To those who expressed an interest in our Perspectives series, in making a blog contribution, and/or wanted further information on our work here at the RCC, please do get in touch! 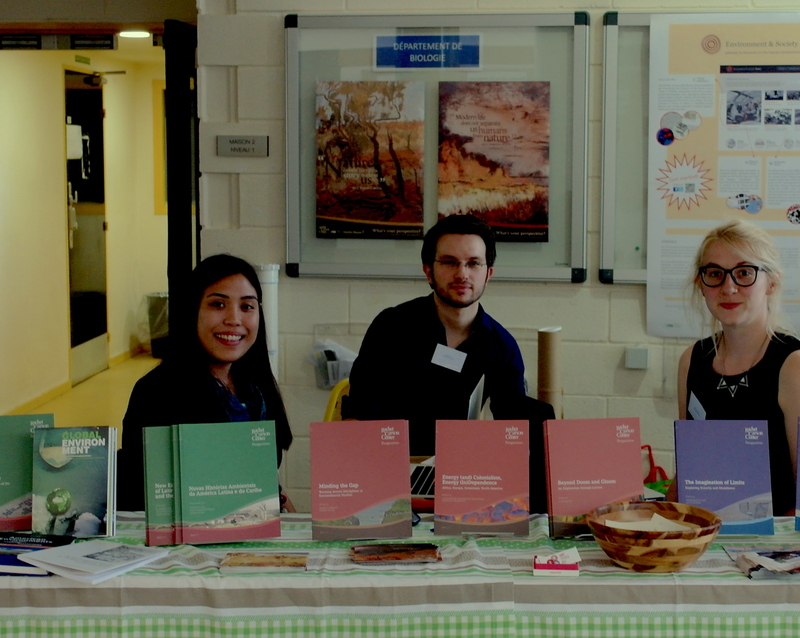 RCC Editors Marielle Dado (L) and Stephanie Hood (R) present publications at the center’s book table with doctoral student Martin Meiske. Photograph: Susanne Darabas. 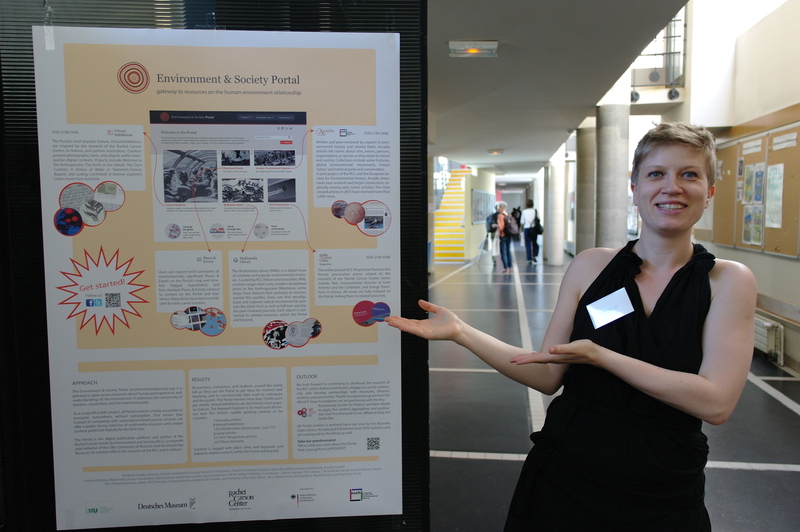 RCC Research Associate Susanne Darabas showcases work by the Environment & Society Portal. Photograph: Stephanie Hood. 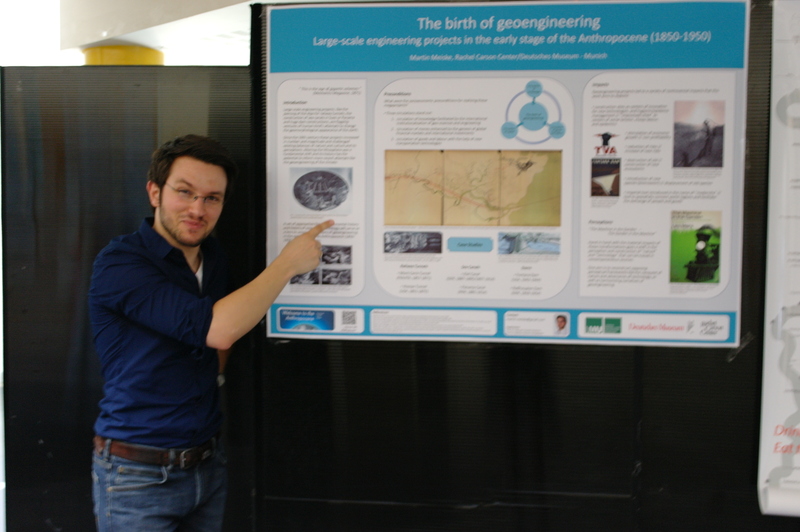 RCC doctoral student Martin Meiske discusses his research poster, which won the ESEH 2015 poster prize. Photograph: Susanne Darabas. 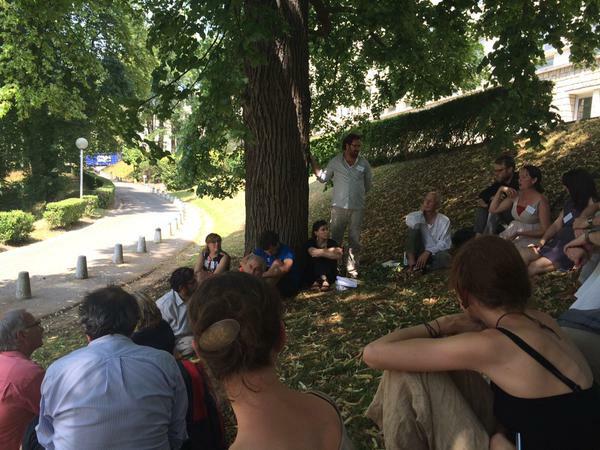 One of several panel sessions held outside in 38°C heat. Photograph: Marianna Dudley. Carson Fellow Alumna Claudia Leal and Managing Director Arielle Helmick preparing to welcome Carson Fellows past, present, and future at the Society of Fellows reception. Photograph: Arielle Helmick. 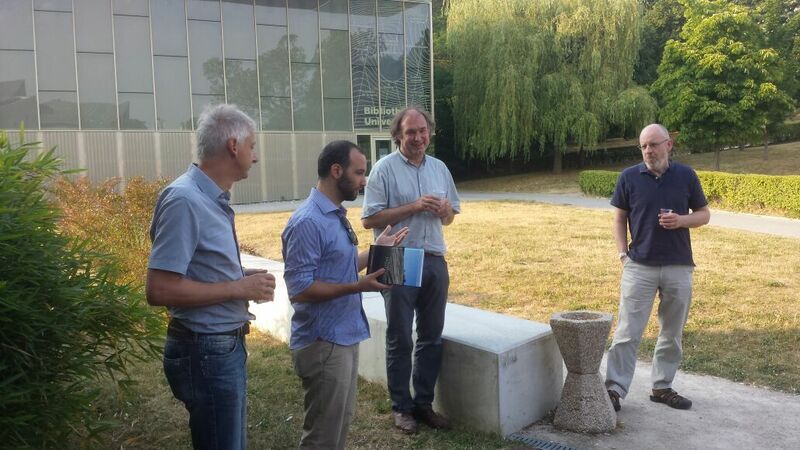 RCC co-director Christof Mauch launches Carson Fellow Alumnus Giacomo Parrinello‘s new book, “Fault Lines: Earthquakes and Urbanism in Modern Italy,” published by Berghahn Books. Photograph: Arielle Helmick. 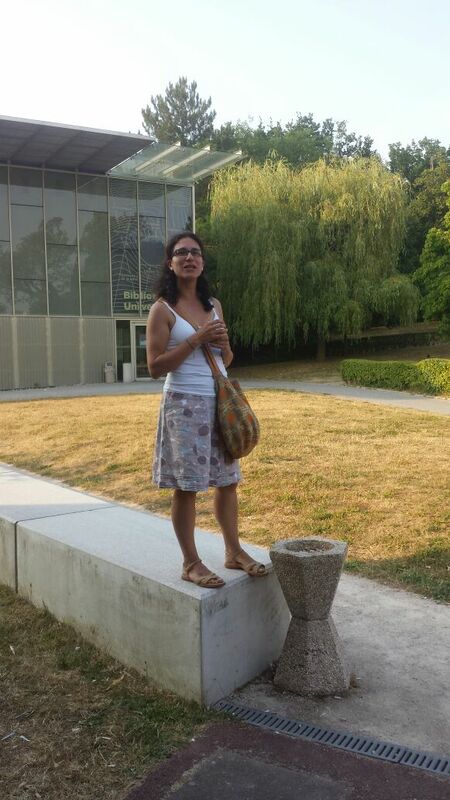 Claudia Leal launching the new RCC alumni group, the Society of Fellows. Photograph: Arielle Helmick. Carson Fellows and alumni at ESEH. Photograph: Arielle Helmick. Carson Fellow Alumni Michelle Mart, Melanie Arndt, RCC Managing Director Arielle Helmick, and Carson Fellow Alumna Amy Hay reconvene after presenting their panel “Uncovering the Environment in Popular Imagination.” Photograph: Arielle Helmick. 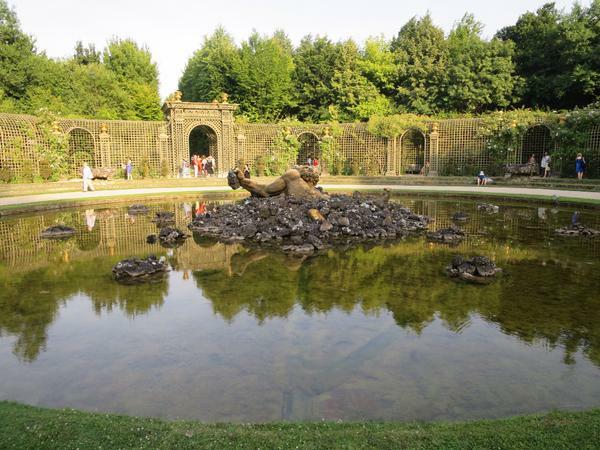 ESEH delegates visit the gardens of the Palace of Versailles. Photograph: Andrew Watson.